Cattle play a fundamental role in animal agriculture throughout theworld. They not only provide us with a vital food source, but theyalso provide us with fertilizer and fuel. Keeping reproductionlevels at an optimum level is therefore essential, but this isoften a complicated process, especially with modern, high yieldingcows. Written in a practical and user-friendly style, this book aimsto help the reader understand cattle reproduction by explaining theunderlying physiology of the reproductive process and the role andimportance of pharmacology and technology, and showing howmanagement techniques can improve reproductive efficiency. Advice on identifying common infertility problems and how toprevent and treat them. 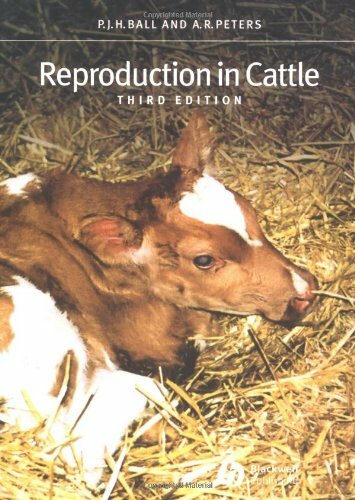 Reproduction Cattle 3e is essential reading for veterinary andagricultural students, as well as veterinarians and farmersinvolved in cattle reproduction. View More In Bovine Medicine. If you have any questions about this product by Brand: Wiley-Blackwell, contact us by completing and submitting the form below. If you are looking for a specif part number, please include it with your message.